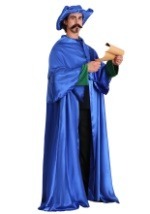 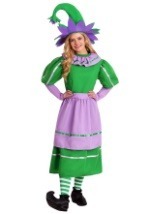 Become mayor of Munchkin Land in the Wizard of Oz with this licensed costume for adults. 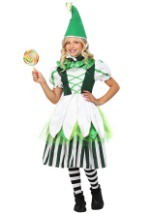 The polyester, three-piece costume has a soft feel and comes with a green hat. 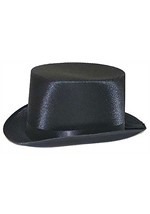 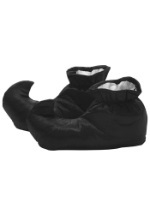 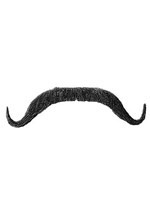 This hat has foam on the inside to maintain its shape and is secured in place with elastic. 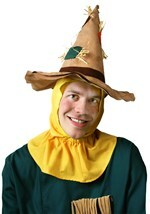 The yellow and green jumpsuit velcros in the back and is sleeveless. The top is yellow with brown accents and has three printed buttons and a clock with a chain on the front. 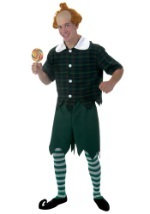 The green pants are wide in the thigh and tight below the knees. 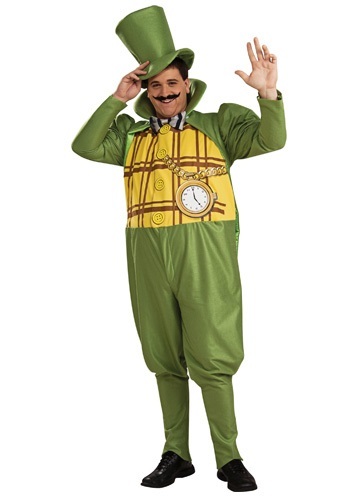 A zipper in the pants makes going to the bathroom easy in this costume. 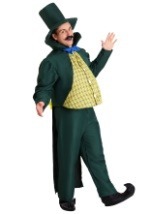 The green jacket has a shiny collar and ties behind the waist. A grey and blue bow tie holds the jacket together in the front with velcro. 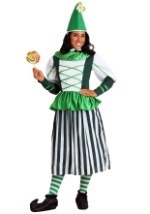 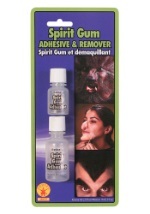 This is a must-have costume for all Wizard of the Oz group themes!